Perfect for introducing new Christians to Jesus' famous tales, or for taking a fresh look at them, these 12 studies bring new life to old stories. Everyone loves a good story, but the parables of Jesus are a special kind of story. They sneak up on us, catching us off guard. The familiar suddenly takes an unexpected twist, and we find our secret thoughts exposed in the healing light of Jesus. In this guide, John White helps us explore twelve of the greatest stories ever told. 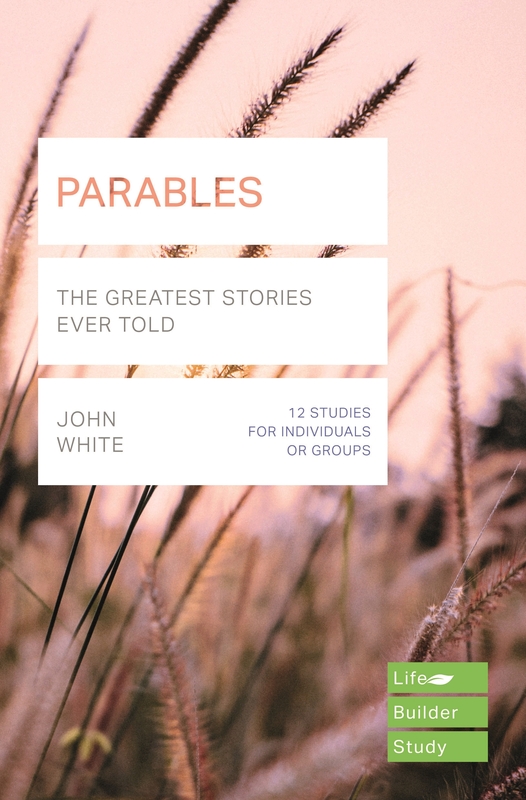 Lifebuilder: Parables by John White was published by IVP UK in September 2018 and is our 748th best seller. The ISBN for Lifebuilder: Parables is 9781783597949. Be the first to review Lifebuilder: Parables! Got a question? No problem! Just click here to ask us about Lifebuilder: Parables. Is the Life Builder Study suitable for groups do they include discussion starters or similar? A:The Lifebuilder Study series are equally suited for both group and individual study. The Lifebuilder Bible Study : Parables has been revised to include additional questions for starting group discussions and for meeting God in personal reflection, together with expanded leader's notes and an extra 'Now or Later' section in each study. Which of the parables are covered in "Lifebuilder Bible Study: Parables"?